Rilley holds a bachelor’s degree in Math and Psychology with a Business Administration minor from the University of Minnesota-Duluth. Outside of the office, Rilley takes part in the credit union-sponsored packing nights at Second Harvest Heartland, and volunteers in her community at the Hugo Good Neighbors Food Shelf. 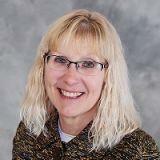 She is also active with the White Bear High School Baseball Boosters club. Founded in 1926, Ideal Credit Union is a member owned financial institution that is dedicated to providing financial services driven by a sincere and personal interest in the needs of our employees, members and community. Ideal CU offers a complete range of services, including a full suite of digital banking products, savings, checking, loans, mortgage products, exclusive VIP member payback, business services, investment services and more. Offices are located in Eagan, Hugo, Inver Grove Heights, North St. Paul, Stillwater and Woodbury. Visit idealcu.com for details and directions. Ideal has been voted “Best Credit Union in the East Metro” two years in a row by readers of the Stillwater Gazette and was named a 2018 Star Tribune Top 150 Workplace. Equal Housing Lender.